Opting to use continuous bioprocessing in pharmaceutical manufacturing delivers a host of potential benefits. These advantages have spurred the innovation among sensors and the efforts to overcome other challenges. The advantages of continuous bioprocessing include quality improvement, time savings, and cost savings. Process intensification, which is considered the forerunner for continuous manufacturing, lets drug manufacturers reduce their cost of goods by as much as 75 percent. 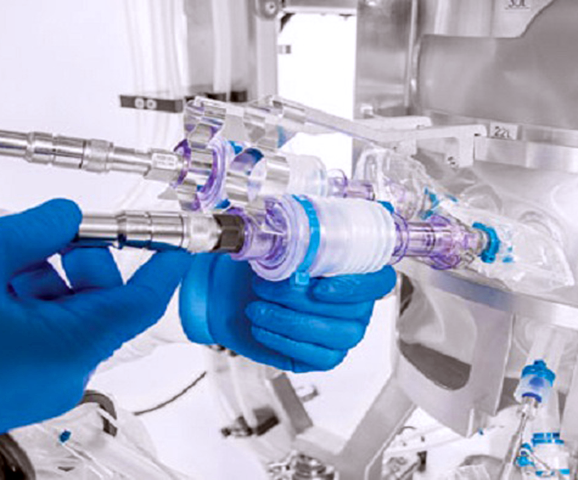 That advantage alone is pushing many researchers to do everything possible to overcome the hurdles preventing a full shift to continuous bioprocessing. To make use of continuous bioprocessing, it is necessary to have automation, analytics, and control to improve product safety and quality. Determining the ideal level of control and automation has been challenging for drug manufacturers. This is where the sensors and detectors come into play, as they must be ready to measure both the critical quality attributes and the essential process parameters in real-time. Without those real-time sensors and detectors in place, it is impossible to determine the level of control vs. automation and to trust that the system will complete its job. What Is Needed from the Sensors? Despite the advances in process analytical technologies and sensors, more innovation is needed to enhance the process monitoring and improve the real-time release of products. Those sensors need to be capable of operating in-line for weeks on end, without any fouling or drifting. Even with innovations, data is still a technical gap slowing down the adoption of continuous bioprocessing. There are not yet enough case studies or experimental data published to show that these processing methods will be effective and deliver the advantages that their proponents claim. Researchers must continue to gather data, which is only possible via the sensors and detectors. Those sensors can record the data from the continuous bioprocessing of commercialized drugs to show the success of the process. As such, the innovations of those sensors has increased the amount of data available, helping prove the value of continuous bioprocessing. Innovations related to the Internet of Things (IoT) are also playing a role in the viability of continuous bioprocessing. IoT can be used for each detector or sensor to gather information and store it seamlessly. IoT additionally makes it simpler to collect the data that can streamline the transition from the current processes to continuous bioprocessing. The advances in detectors and sensors for real-time critical process parameters and other data have helped lead continuous bioprocessing to become more viable. Yet that does not necessarily mean this technique is already widespread. It is slowly gaining adoption, as mostly single-use bioreactors with a smaller-scale perfusion make the transition. Both in 2016 and 2017, a third of biopharmaceutical manufacturers indicated they were working toward at least testing continuous bioprocessing upstream, with closer to 25 percent looking at downstream technologies. Experts agree that as the variety of products produced through continuous bioprocessing increases, it will rapidly proliferate since other manufacturers will quickly see the advantages. The Rise of Single-use Bioreactors: Why make the Switch? Subscribe to notifications about new posts to the Boyd Technologies Knowledge Center.